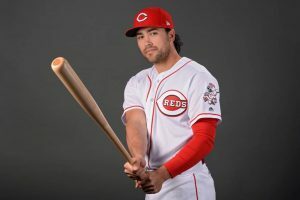 One of the critical aspects of a rebuild cycle such as the one the Reds are currently in is to take a good look at young talent to learn as much as you can about their current abilities and future potential. Blandino is an infielder by trade, but is not going to supplant either third baseman Eugenio Suarez or second baseman Scooter Gennett (unless he is traded, which is an entirely separate idea being debated all over Redleg Nation). Blandino was drafted as a shortstop, so maybe itÃ¢â‚¬â„¢s time to take a look at him more frequently at that position. During his minor league career, he was primarily a second baseman, so perhaps the player development staff has determined that shortstop is not his best position. But it would be nice to see him get some starts at shortstop, particularly with the slump Jose Peraza has been enveloped in for the past couple of weeks. But Blandino won’t start today, as youÃ¢â‚¬â„¢ll see below. Today the Reds face the Colorado Rockies in the rubber game of a three-game series beginning at 3:10 Eastern time at Coors Field in Denver. The Redlegs are shooting for their second consecutive series win after taking two of three at home against the Pirates last week. Should the Reds win today, it would be the first time this season they have won back-to-back series. All hail the #MattHarveyEra! Since he was added to the roster, the Reds are 9-7. In his three starts, he has posted a 2.57 earned run average, with 12 strikeouts and only two walks in 14 innings. At times we have seen the rustiness you would expect with a pitcher who has been struggling to come back from multiple injuries and was dropped from the Mets rotation. At other times, weÃ¢â‚¬â„¢ve seen flashes of what appears to be an accomplished major league pitcher, who actually gets ahead of batters and then puts them away. He said recently that catcher Tucker Barnhart identified a mechanical flaw mid-game, and the results thereafter were noticeably better. Marquez is a righthander in his second full major league season, and his statistics paint the picture of about as average of a major league pitcher as you can find. The Reds should have the chance to score some runs today. Michael Lorenzen, Amir Garrett, David Hernandez and Jared Hughes each pitched one inning last night, and all should be available for at least an inning today. Wandy Peralta, Tanner Rainey, Dylan Floro and Jackson Stephens should all be available for multiple innings if needed. So this group should be ready early if Harvey struggles, and late in a close game. If you blinked you might have missed @BillyHamilton. Recap: Scooter hits, Scooter plays defense, Scooter does it all. Reds win! Love the idea of Blandino getting some starts at SS in Peraza’s place. Today would have been a good day. I wonder if Harvey sees the 3rd inning. Rox tagged him in the first. Things are not going so well so far.The jet stream to right is taking balls a long way. The question: does Matt have it today? The jet stream should be good for Scooter, Votto and Schebler. John Fay had an article in which he called Eugenio Suarez the only “impact player” the Reds have acquired or groomed in the past few years. 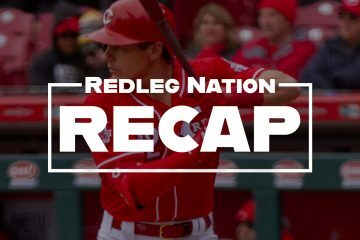 Fay assessed a number of other Reds who may or may not turn into impact players in the next few years. Absent from the article was any mention of Scooter Gennett. I don’t think anyone believed Scooter would put up the same numbers this year that he did last season–but guess what? He’s doing it, and then some. There’s no way around the fact that his offensive numbers have been those of an impact player. I have been on the “trade high” bandwagon for Scooter, but I’m now stepping off. He just turned 28 and probably has 3-4 great seasons ahead of him. Why give those up for prospects who might not materialize? I know he’s blocking youngsters at 2B, but either he or they can move to a different position. But we can’t give up that bat. Extend him for 3-4 seasons at a reasonable price and let him join Votto, Suarez, and Barnhart as foundation pieces for the rebuild. BTW, he already has two hits today, giving him 7 hits in his past 7 ABs. Impact player does not make. Scooter is a good hitter with unique plate coverage and is a tough out. If the Reds had a good productive shortstop – you could take the defensive liability and use a late inning blandino. The problem is the Reds are still far away from the winning window and outfield/SS play is regressing with players who should be developing. It’s still very hard to see a reds winning season in 2019 so the reds need to make decisions on 2020. If the reds can get a mid rotation starter at the trade deadline for Gennett who is 2019 ready, then do it. Otherwise, it may be time to look at Senzel as an outfielder, extend Scooter fir 2019/20 this offseason and when Trammell arrives in 2020, the outfield is a strength. Second base is the easiest position to remedy. I don’t know enough about Freidl.Siri is a wild card. Winkers struggles would argue he needs to play more, not less on a losing team in 2018 so the 2020 projection is clarified. Man this game blows. Can’t score despite the wind blowing out.. the bottom of the lineup is like the Bermuda Triangle, can’t find a hit anywhere down there. But then somehow Billy draws a no out walk, doesn’t try to steal and is erased in a double play grounder. Winker is now ice cold despite that homer the other day. Peraza is ice cold. Billy is batting 200. Duval below 200. How can we even think about trading Scooter? As bad as it is it can get worse. The guy to trade is probably Iglesias but now he is hurt. If they get him right again and he returns to his normal self I think they need to deal him at the deadline to a contender like the Indians that needs relief pitching. And Bailey starts tomorrow in Phoenix. Not encouraging. Arizona is struggling on offense. Near the bottom in team OPS. Might be a good match up for Bailey.